Stars of television and screen, George Lamb, Fiona Fullerton and Larry Lamb, along with society jeweller Theo Fennell, were the comperes and judges for Hereford Cathedral Perpetual Trust’s spectacular Strictly Dancing gala and dinner last Saturday evening. Ten couples, many of whom had never danced before in anything other than a social setting, took to the floor after three months of intense training and produced an evening with some dance routines ‘good enough to be on BBC1 on a Saturday evening’ according to one judge. Mindy Hammond, one of the dancers and Daily Mail columnist, said ‘we have all had a great time, the room was filled with laughter and much fun was had by all’. Following voting by the judges and audience, Wendy Tarplee Morris, best known for her work with the Little Princess Trust, and dance partner Tim Pattison were voted best dance of the evening. ‘It was an amazing evening and the first time either of us had danced in such an event but it was such a remarkable experience,’ said Wendy. 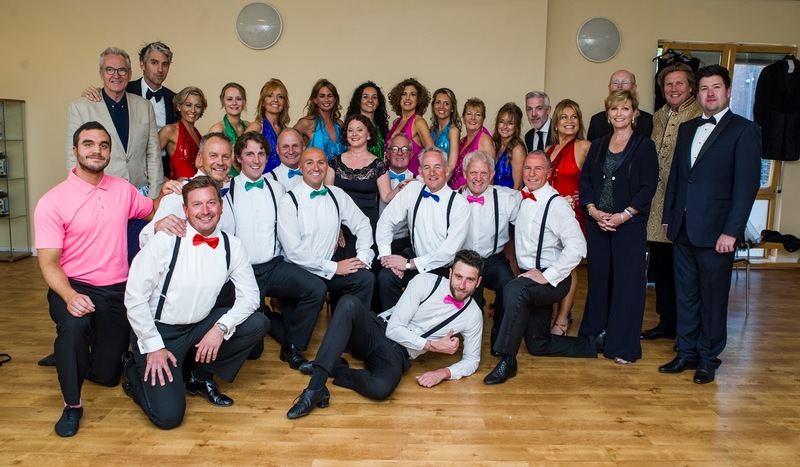 The Perpetual Trust has already started its recruitment of dancers for Strictly Dancing 2018 and anyone interested in taking part or receiving information about the evening should contact the Perpetual Trust office. copywright of Goherefordshire. Simple theme. Powered by Blogger.